SOEDESCO has announced a delay for the highly anticipated Owlboy Limited Edition in North America. In North America, the Limited Edition’s release date has been pushed back to September 28, 2018. It will still release in other regions on August 31 as it is not affected by the delay. SOEDESCO cites delays in the process assembly and distribution process as a reason for the delay. Full statement can be found below. 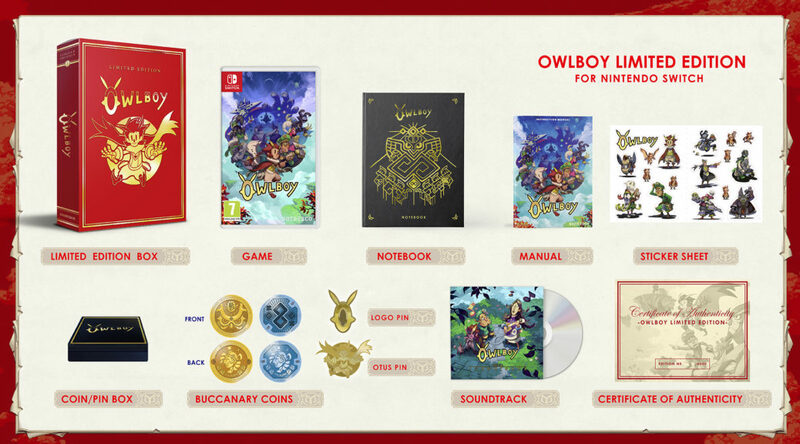 Marten Buijsse, Community Manager for SOEDESCO, apologizes for the delay, explaining: “The Owlboy Limited Edition is the first release in our promising new Limited Edition program and unfortunately we’re facing some startup problems. We will take the lessons learned from this first issue with us for all future Limited Edition releases, and we are very grateful for everyone’s patience”. The reason for this partial delay is that the combination of many different special items in the Limited Edition result in a complex assembly and distribution process. Due to some delays in this process, the Limited Edition will arrive later in the USA and Canada than in the other territories.